Two excellent videos from Akamai Technologies are available explaining how to code for responsive images. The first is written by Mat Marquis, the second by Yoav Weiss. Both films go quickly and bear watching more than once. 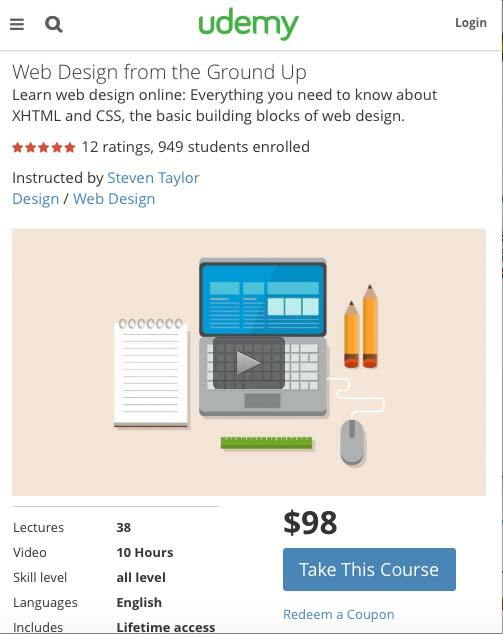 This is a $98 class at Udemy. Ecommerce with PayPal – setting up a shopping cart, integrating PayPal, making money with your site! That’s a lot for 10 hours, so I’m guessing it will be basic info, but that’s what a beginner needs, isn’t it? Many thanks to Udemy for making this special offer available to Web Teacher readers. Grace Hopper: The Queen of Code is a documentary about Grace Hopper. It’s the latest film in FiveThirtyEight’s Signals series. This is a short film and would be excellent to show students in a beginning computing or history of computing class. On March 27 I’ll be leading an online seminar for ADA Online Learning. The topic is Introduction to ARIA. If you’d like to join the seminar, information about the schedule, registration and more is located at the ADA Online site. It’s free and registration is easy. The seminar will focus mainly on ARIA landmark roles and will help the people attending see how to use landmark roles in their work. It will include an explanation of how to add landmark roles to WordPress themes that don’t have them built in. The event is sponsored by the Great Lakes ADA Center. Black Girls Code, lead by Kimberly Bryant, is an awesome program. Here’s a look at what they do.